Happy Tuesday!! Yesterday went by quickly, and I am hoping today will be the same... My first small group of the year starts tonight (we are doing Beth Moore's Breaking Free) so it will be a long day until I get to head home to see my sweet hubby and puppy! I don't know why, but I had baking fever all weekend...! There are a few Pinterest recipes that have been burning a hole in my pocket, so I decided there would be no better time than Super Bowl weekend to try them out (even if they weren't football themed). I used a boxed cake mix for my cupcakes and premade frosting, but if you're feeling extra ambitious, I encourage you to make these from scratch! The original recipe was chocolate cake and frosting, but I'm a vanilla girl. 1. Once your cupcakes are fully cool, use a paring knife to cut a 1.5 inch-ish deep heart out of the center of the cupcake (I tried to use a heart cookie cutter, but the edges of the cookie cutter were not sharp enough to make a convincing heart shape). 2. 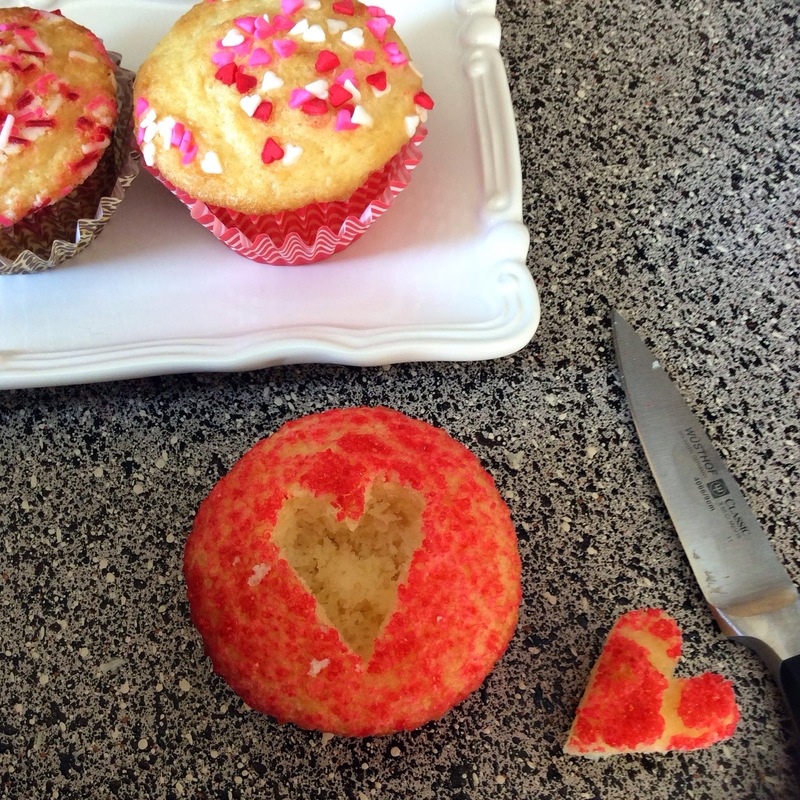 After removing the heart shape, cover the inside of the cupcake with frosting. 3. 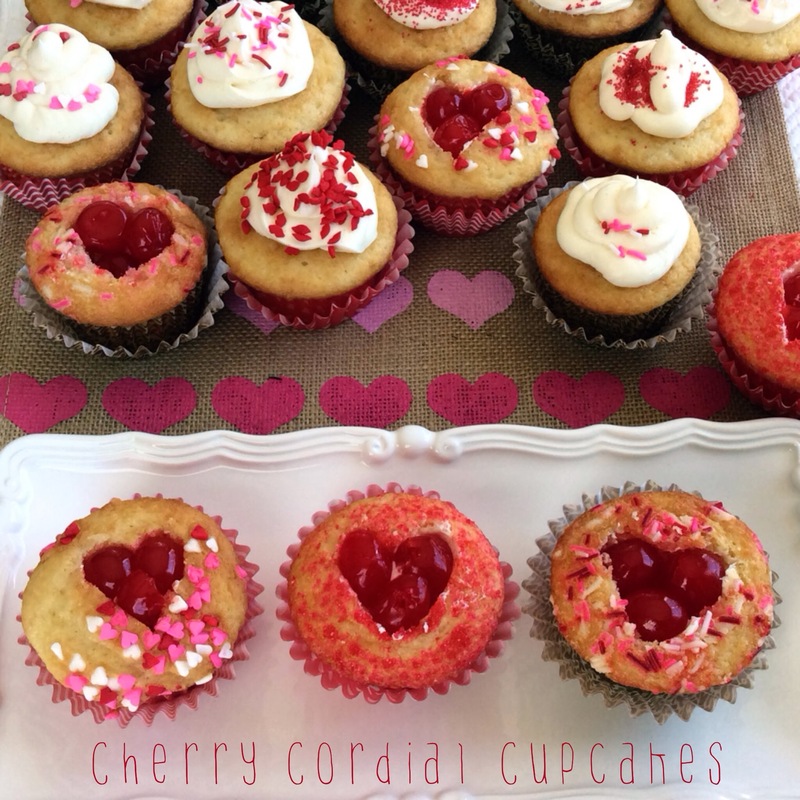 Once you frost the inside of the cupcake, place 2-3 cherries inside, and top with some of the cherry juice (the cherry juice absorbs into the cake, and makes for a very tasty cherry flavor!). Those look so so good - and they are pretty to boot!!! I wish I was a better baker, but the best I can do is Banana Bread!! Those are adorable! How festive! they look so cute and i bet they taste delicious! YUM! These look delicious and super easy. I may have to break out the cupcake pan this weekend :) Thanks for the recipe! 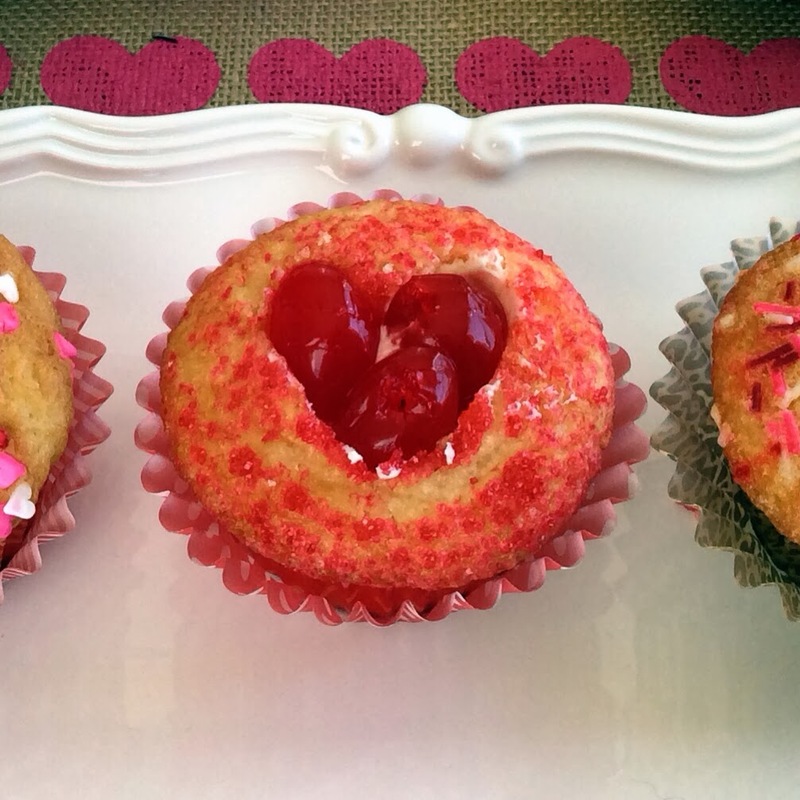 Those cupcakes are so cute, I I think I'm going to run out today and make them, thanks for sharing!! 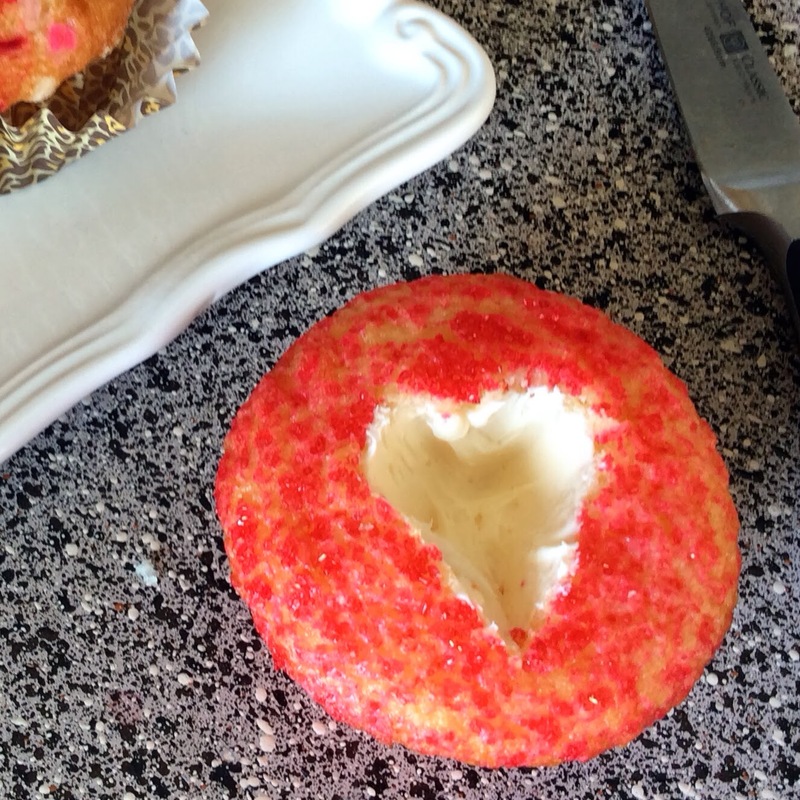 ohhh my goodness, I have to try these! SOOO cute! That sounds amazing!!! Omg I want one. Ha, my mouth started to water. Thanks a lot... =) Clever idea.